I did not see this before posting my piece on ecommerce earlier today where I recommended avoiding ecommerce venture in Africa (except South Africa) yet. 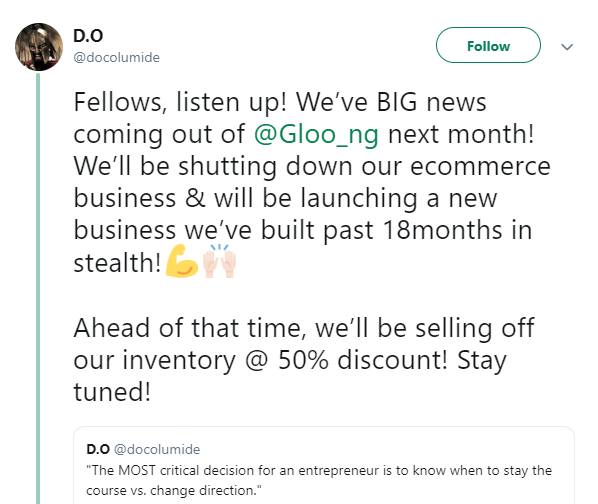 Gloo, one of the “most successful”, and well known ecommerce companies in Nigeria is shutting down. 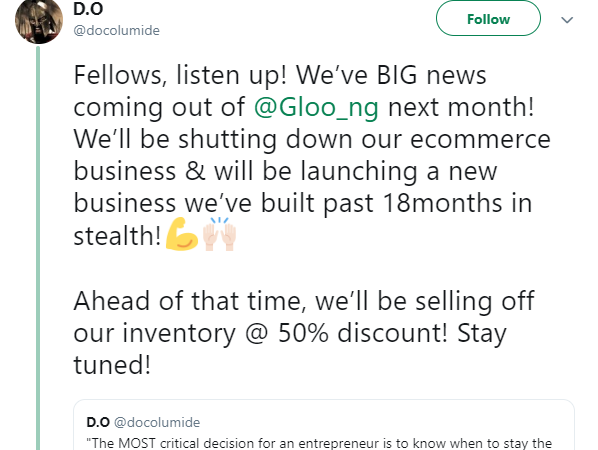 Few days ago, it was DealDey that gave up. No one takes glory for the failure of these entities. It is painful to write on them. Here (LinkedIn), last week, a company wanted to hire my practice to come up with a strategy for an ecommerce venture it was plotting. I declined 3 times and the firm did not give up. Then, I stopped responding. There was no need of collecting the money, for no value, because I see no path to success yet in that sector, in Nigeria. Simply, the problem is not your website: the paralysis is something you have no control unless you have $800 million to build a regional logistics system.